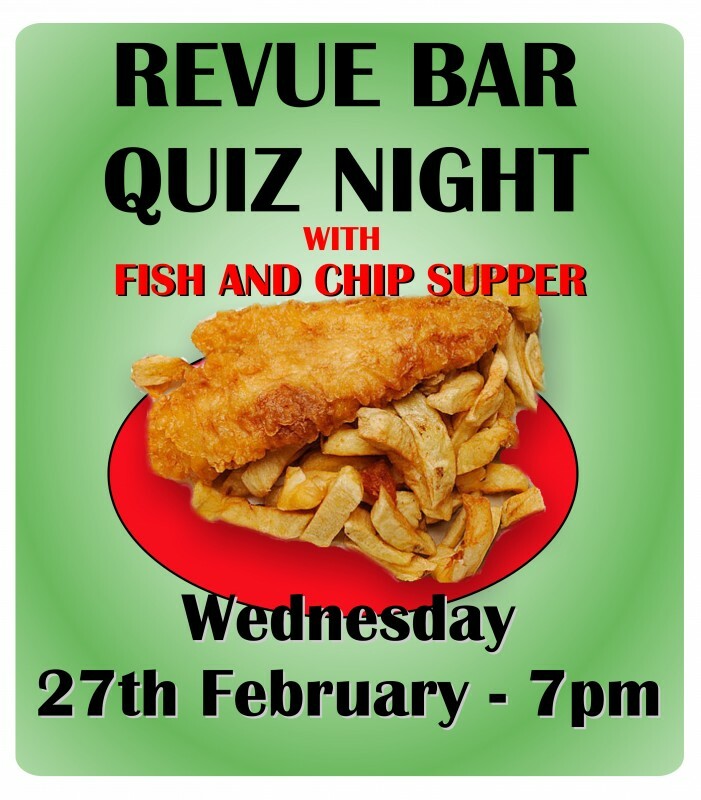 Come along to the first social event of 2019 - our Revue Bar Quiz night with Fish and Chip Supper. 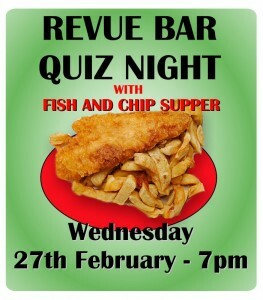 Tickets are just £7 per person including Fish and Chips or just £3 per person for Quiz entry only. 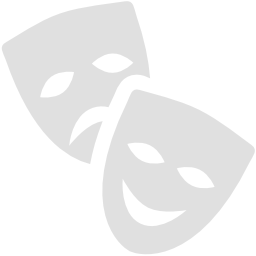 Bookings are to be made through Box Office with payment up front. 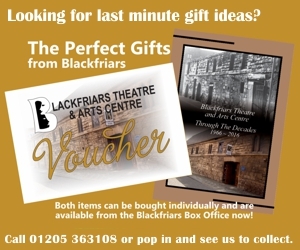 We look forward to another fabulous social event here at Blackfriars.